When you are looking for your one and only on the websites with beautiful Russian brides, probably the last thing on your mind is how you will handle the paperwork to live together in love and bliss. We often get questions from our clients in Australia about bringing a lady to the country on a visitor visa, so that she can see what her life here is going to be. 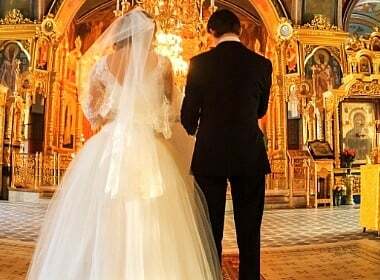 Other clients are confident about their feelings and enquire about the process of getting an Eastern European woman to the county if they decided to get married. A registered migration agent Yulia Moiseeva explains how it works. In this day and age love stories frequently evolve through internet chats, dating sites, and other online media. People tend to use online resources more often to find “Mr or Ms Right”. But once they have found love, pathways to begin a new life together as a couple are not always clear. At Yulia Moiseeva & Associates we help couples to re-unite and start a new life in Australia. Having over 7 years of experience in the constantly evolving and changing migration law in Australia, we would like to share our step-by-step guide how to make the process smoother. Apart from online dating, chats and video calls, the real life experience of living with a person in a different culture may be challenging. Therefore, the first step for a lady would be to learn as much as she can about Australian men, lifestyle and expectations. You have to meet each other in person at least once to be able to apply for the Prospective Marriage visa. Usually Australian men travel to the lady’s home country to meet her family. For some countries, your girlfriend needs to send an invitation in order to obtain a visitor’s visa. It would be worth coming to Australia as a visitor as well, especially if the lady is planning to change her life completely and relocate permanently. Visitor permits to come to Australia are not easy to obtain, but we offer our clients peace of mind and professional guidelines through the process. Please bear in mind to absolutely never lie on the visitor visa application about your relationship. Do not hide anything, as it will affect future applications. Once your lady visited Australia and happy to go ahead with the further application, please come and seek professional assistance to assess your chances to satisfy all criteria. As the fiancé, you will be the sponsor. Prepare a decision ready application and request another visitor visa to allow visiting fiancée (partner) in Australia while it’s being processed. Under professional guidelines, our clients usually receive decisions within 6-8 months from the lodgement for the prospective marriage visa, as all documents are prepared to the highest standards and embassy usually do not request to undergo an interview. Usually the embassy allows prospective fiancées to visit Australia again while processing your application to get married in the country. We are able to obtain a multi-entry visitor visa for our clients that allows them to stay for up to 3 months. For this purpose, you have to enter and leave the country every 3 months. You may leave Australia for any nearby country (Fiji, Vanuatu, etc) and come back. There will be no right to work on the visitor visa, so the fiancé needs to support his bride financially during the stay. For prospective marriage visas, the applicant has to be outside Australia when it’s granted. The officer assessing the case can see when the applicant is in Australia and usually sends a letter requesting the Russian fiancée to leave the country in order to grant the visa. Again, your fiancée can go to any other nearby country, wait for the visa to be granted and come back. Once you hold the prospective marriage visa, your fiancée will have 9 months to arrive to Australia and get married. We advise our clients to arrange the marriage ceremony as soon as they can to apply for the partner visa (based on marriage) and at the same time enrol into the Medicare system. It allows your foreign wife to use medical services, which is especially beneficial if she is pregnant. The day an applicant lodged the application for a partner visa will be the date to start counting the time until the foreign wife is eligible to apply for her permanent residency permit. The required period is 2 years. Our immigration consultancy practice is based on Gold Coast, Queensland. We offer fixed fee prices to assist clients with partner and visitor applications. We work with clients from all over Australia and overseas, and we speak Russian and English. If you have any questions, please contact us through the website. Please mention Elena’s Models to get a free 30-minute initial evaluation consultation. Besides, women who are known as “Russian brides” seek the right partner, not a country. If she thinks you are the right guy for her, she will move to Australia, USA, anywhere… it’s all about feelings for girls. Many guys think girls seek to immigrate to a better country to have a good life, that’s not exactly what they seek. They seek a good life but for her it means a good husband.